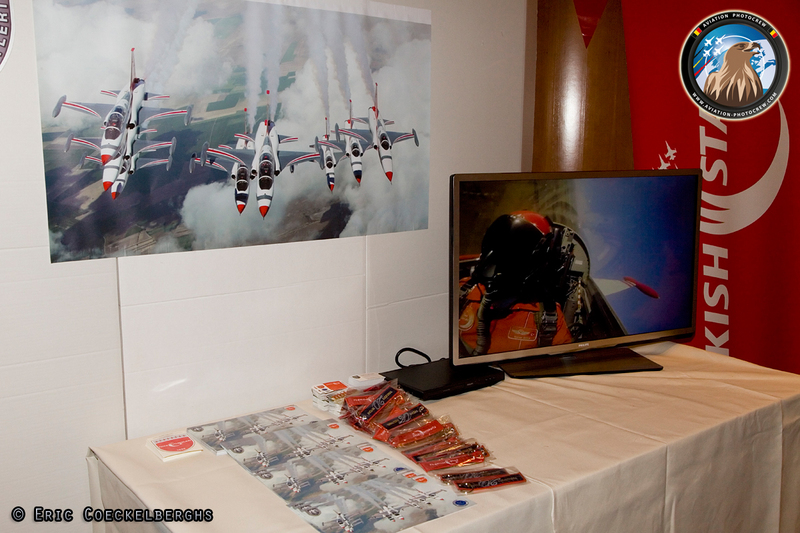 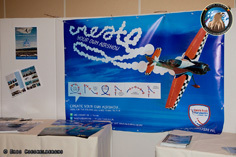 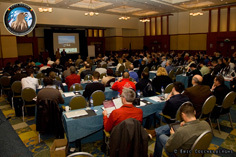 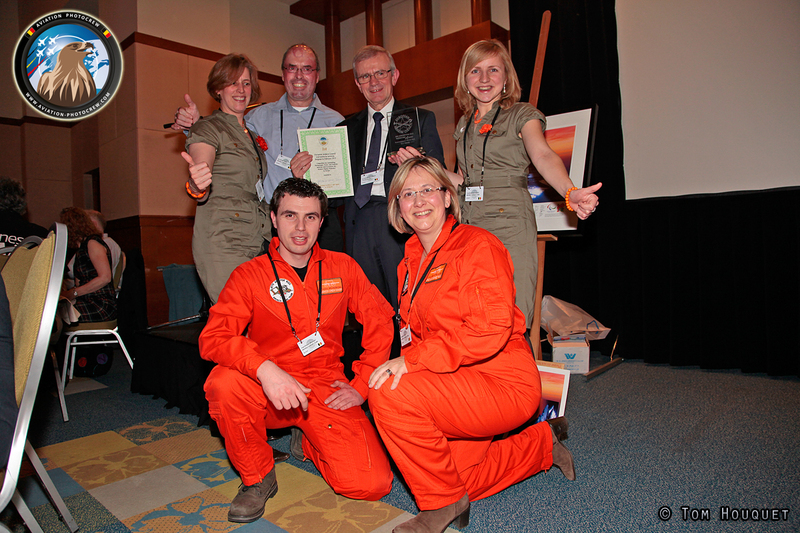 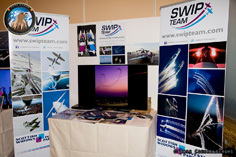 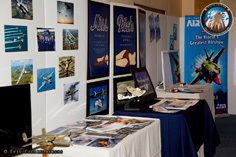 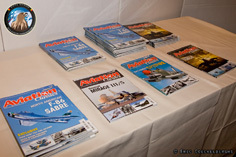 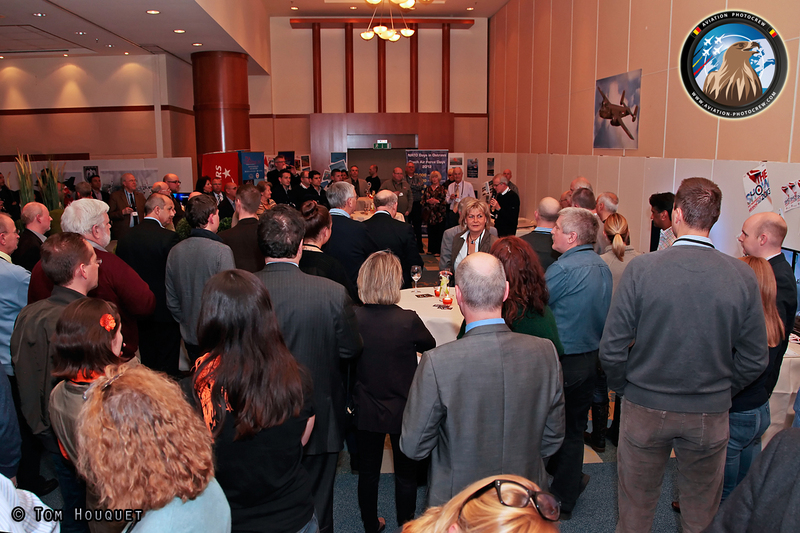 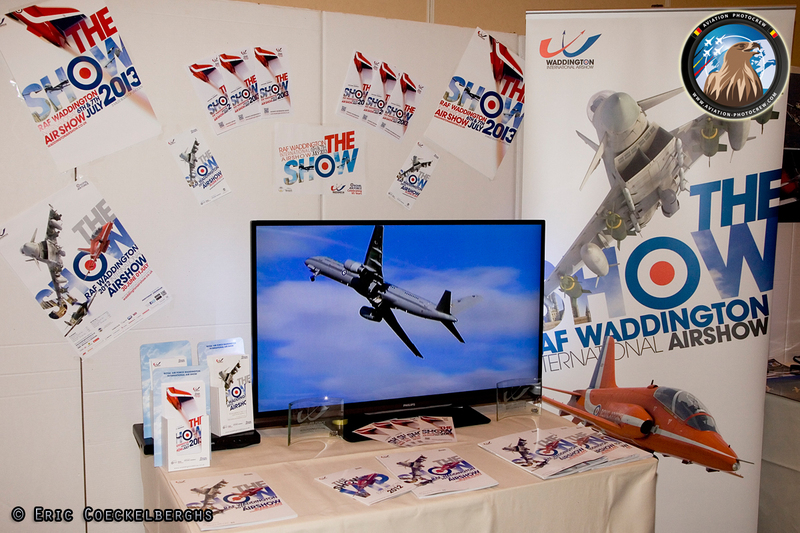 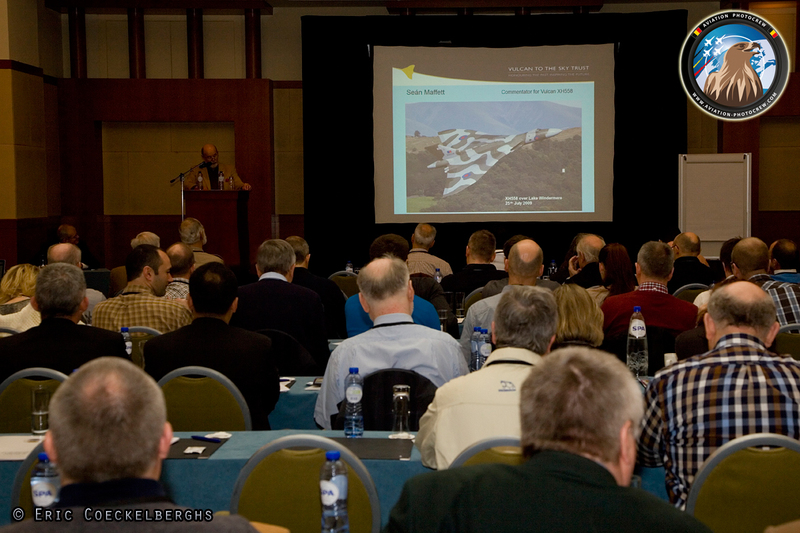 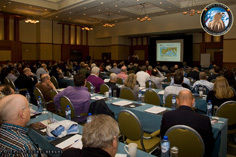 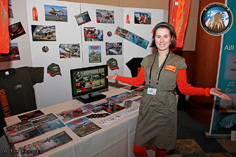 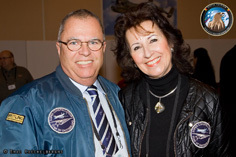 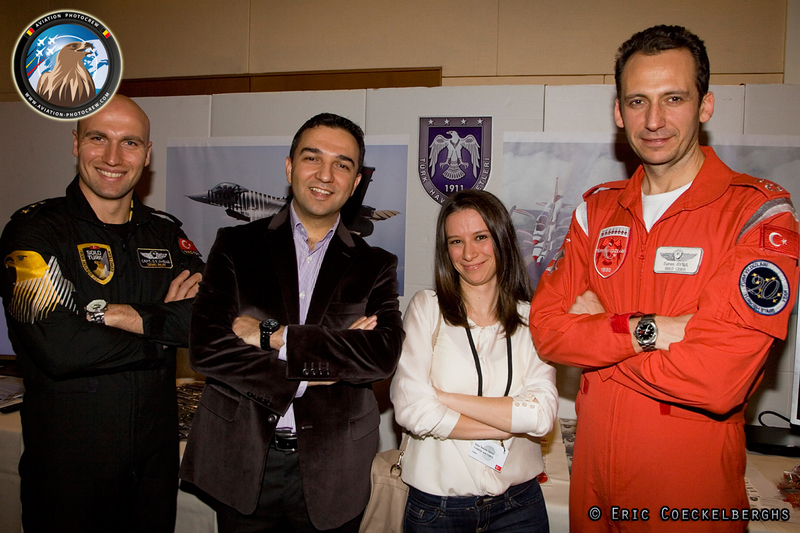 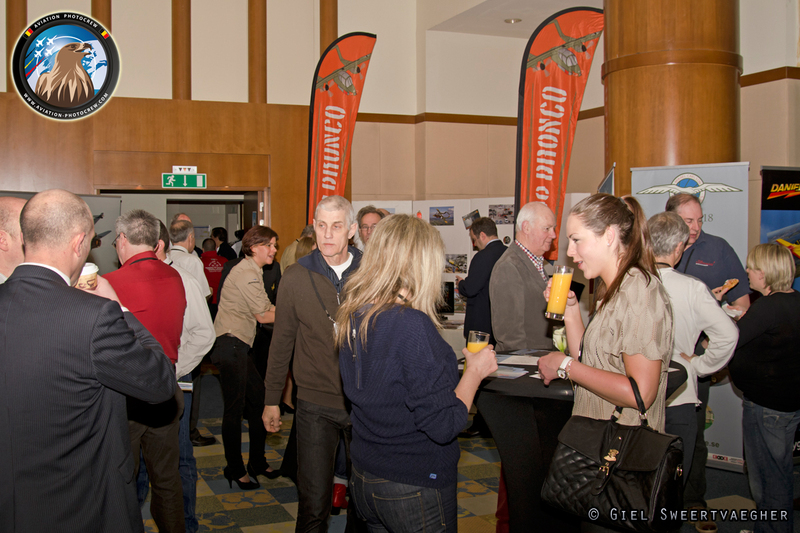 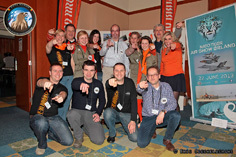 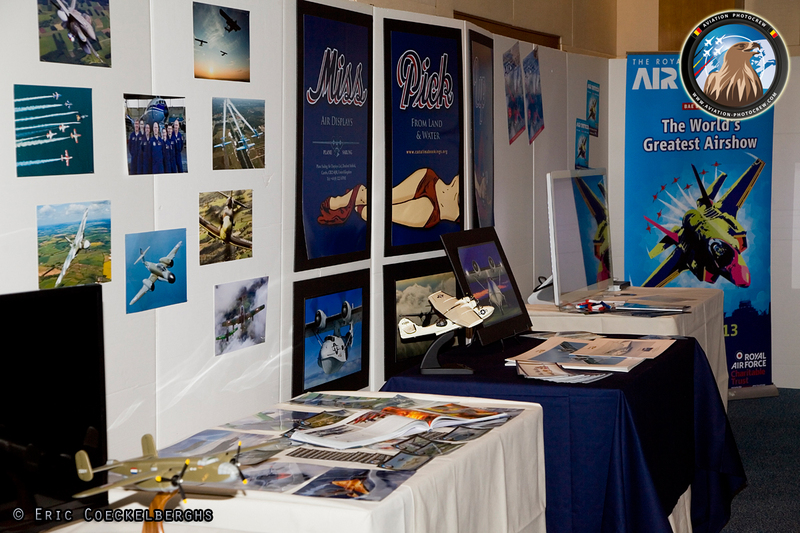 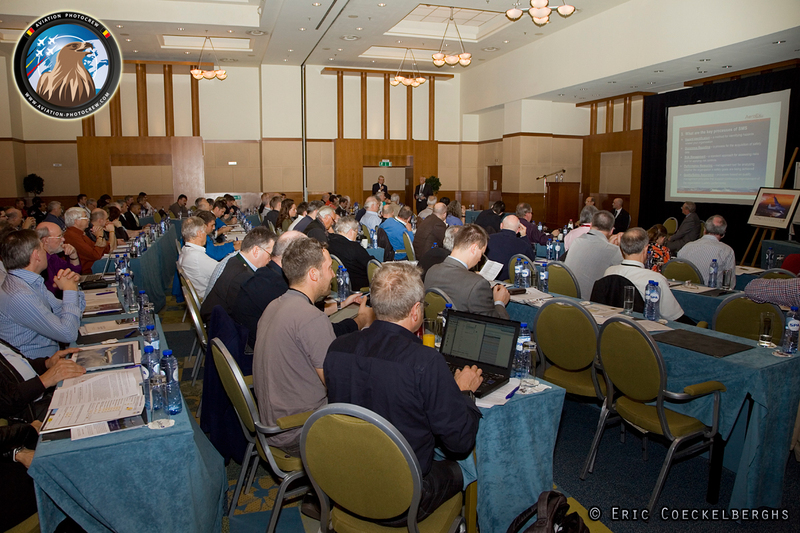 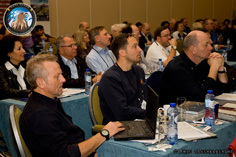 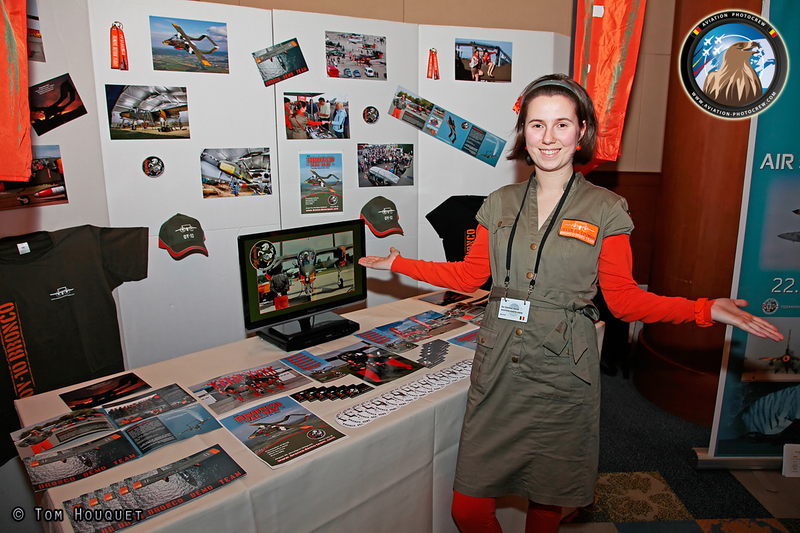 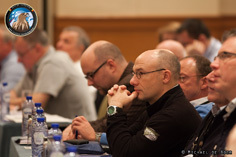 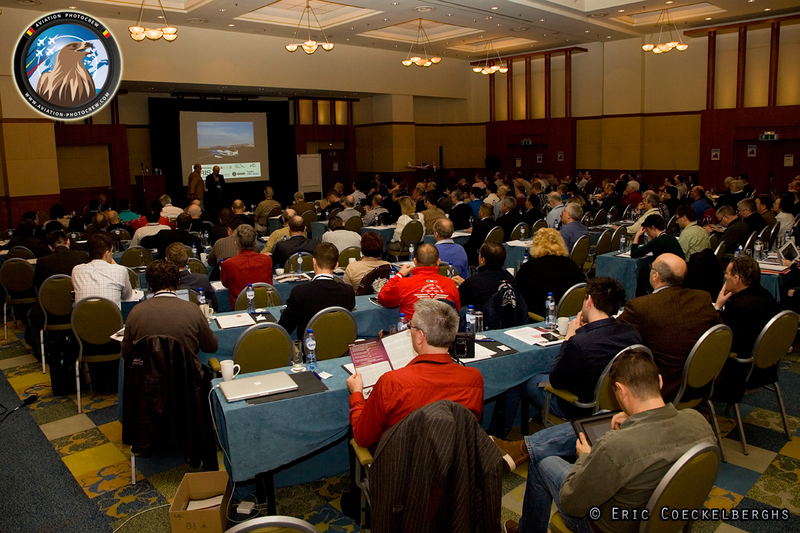 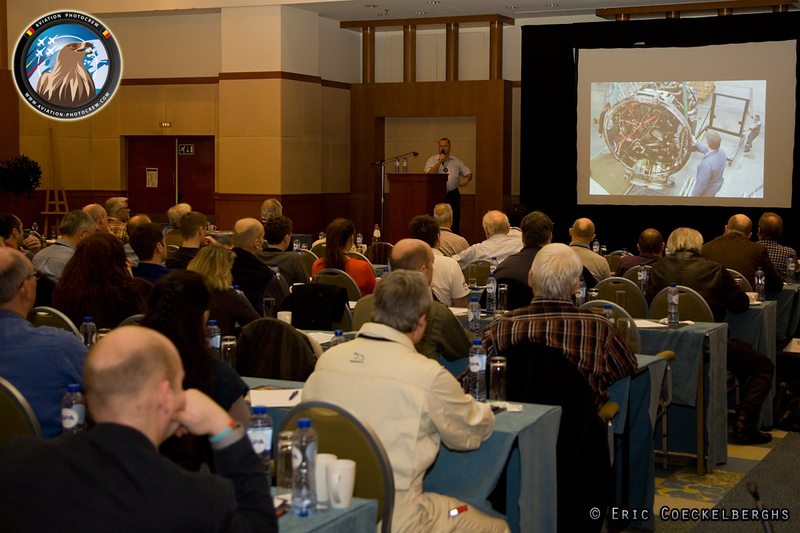 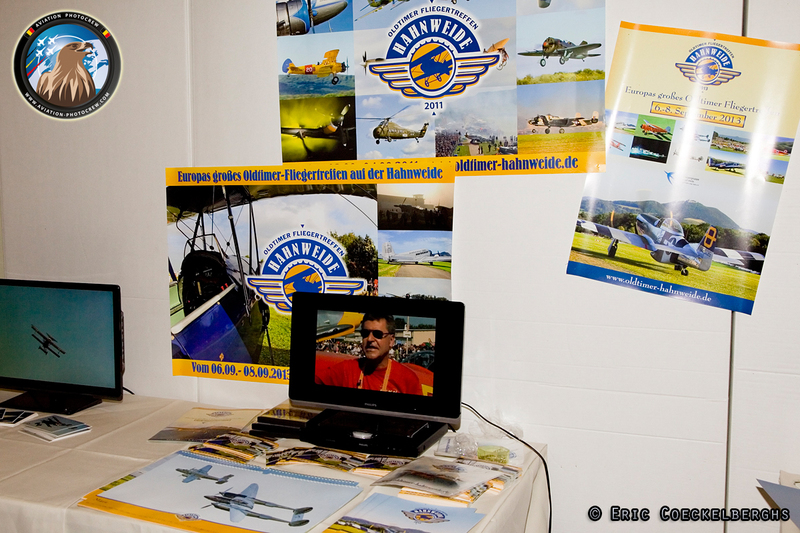 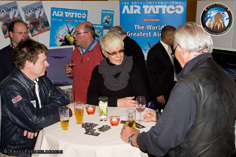 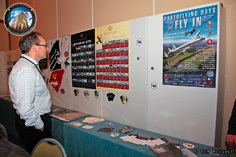 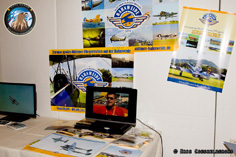 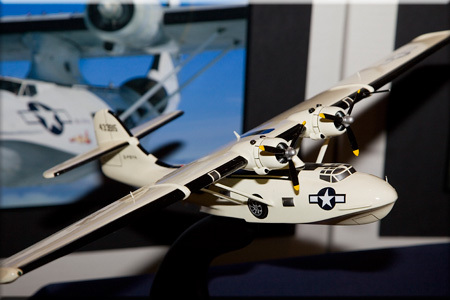 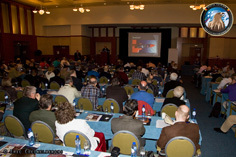 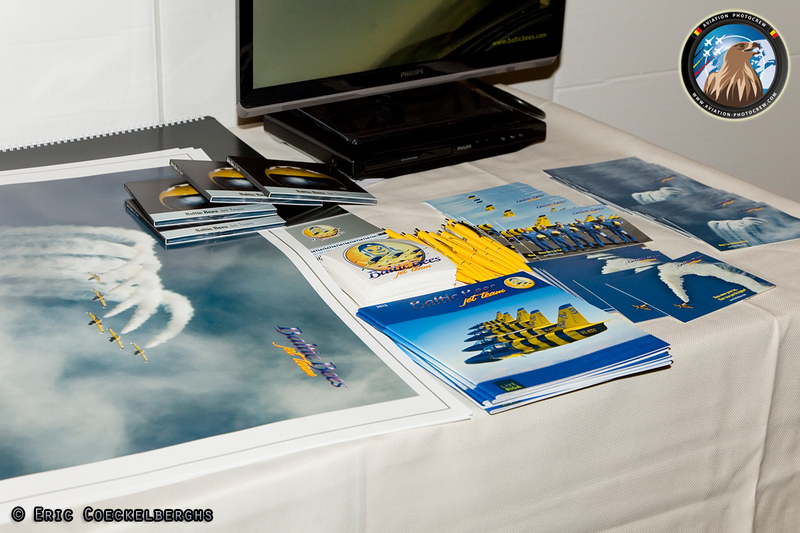 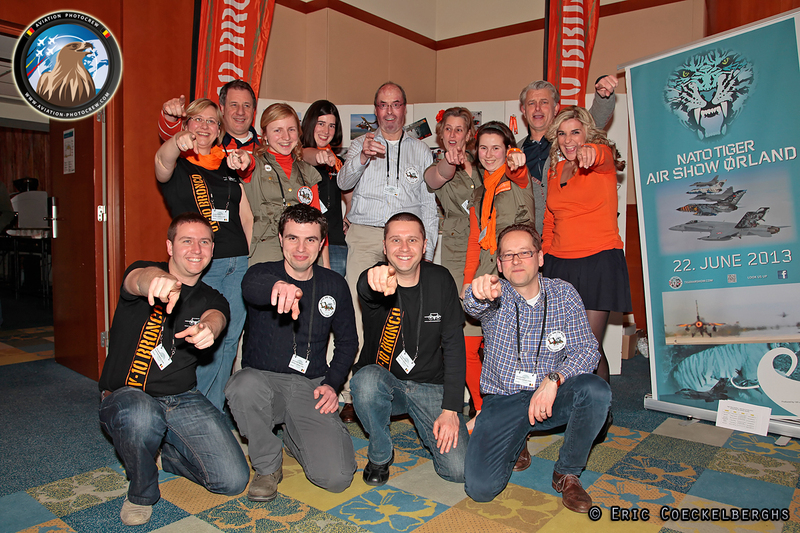 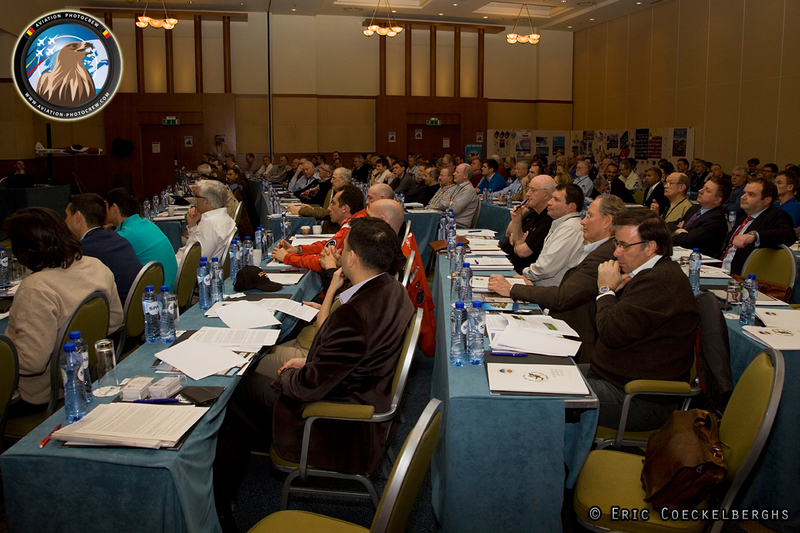 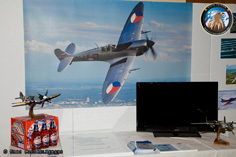 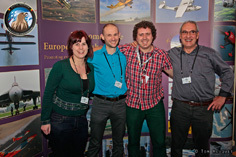 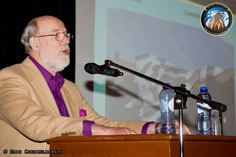 The 2013 edition of the European Airshow Convention took place at a new location in the center of Antwerp, Belgium. The Radison Blu Astrid Hotel was chosen for its great facilities, good price and easy accessibility with public transport, being just on the other side of the Antwerp train station. 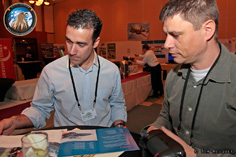 Around 200 people attended this year’s edition coming from all over the world to share experience and meet new friends in the Airshow scene. 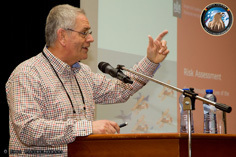 The main theme for this edition of the convention was risk assessment, which becomes more and more important in today’s world. 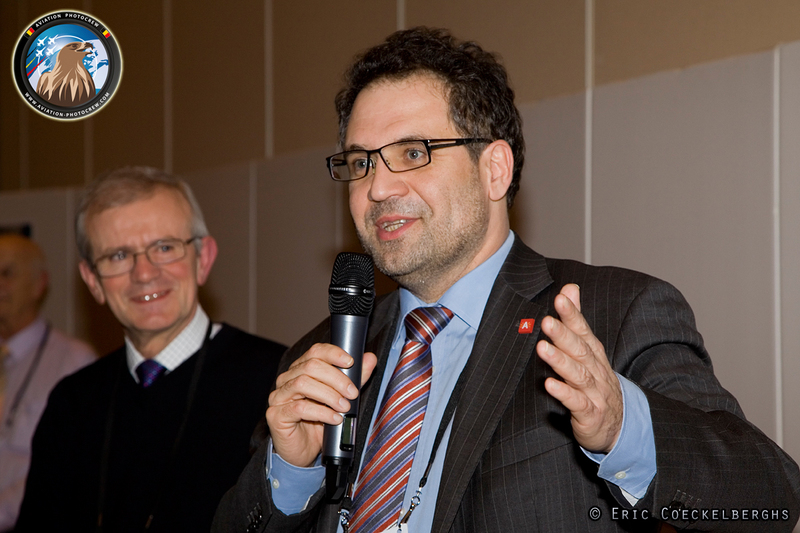 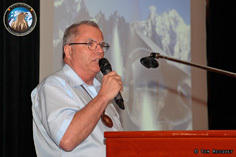 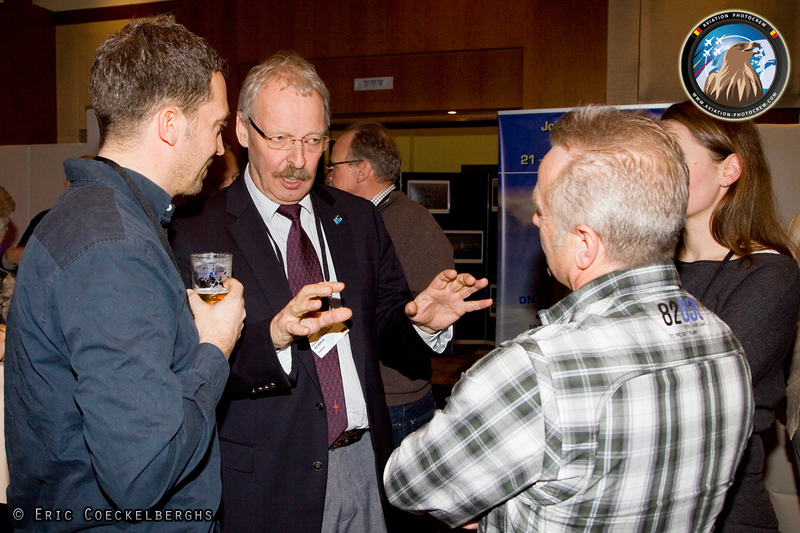 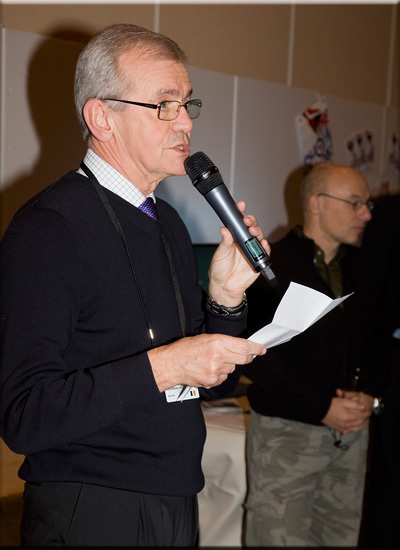 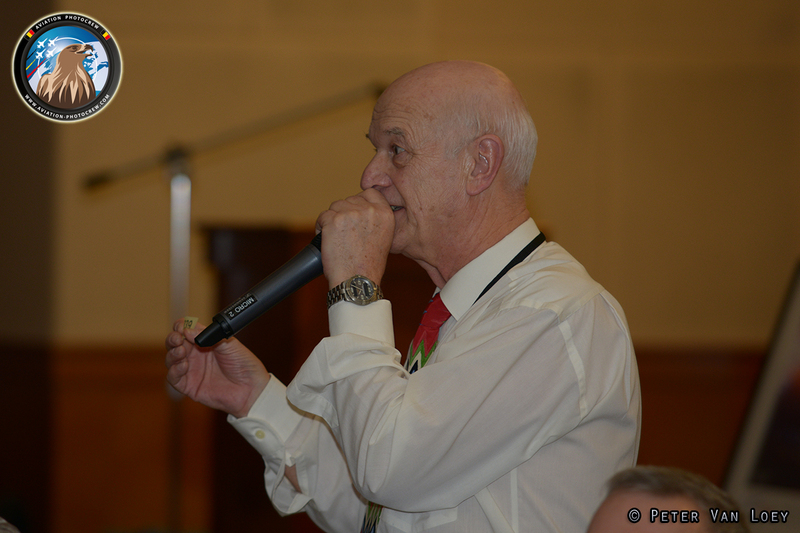 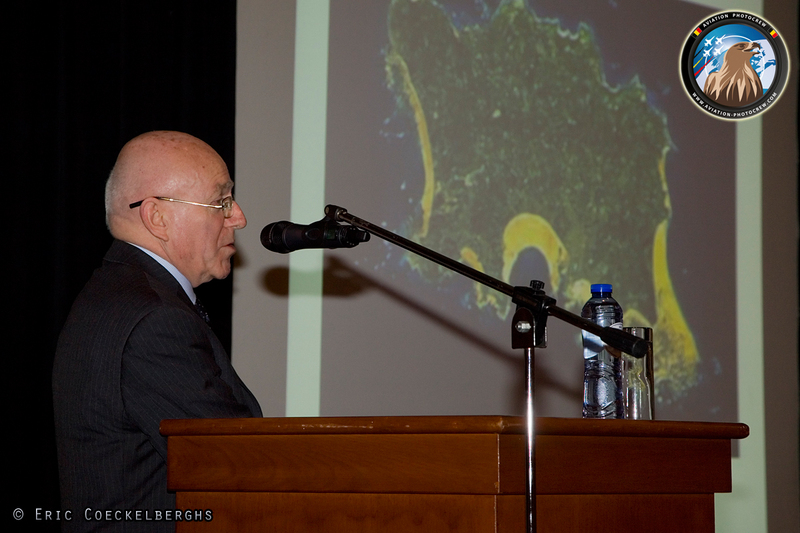 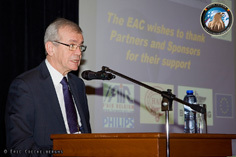 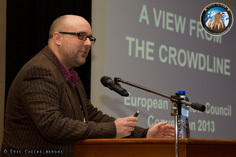 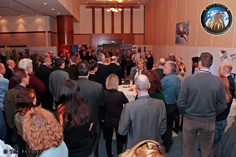 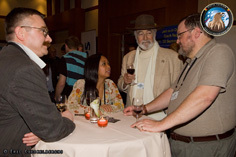 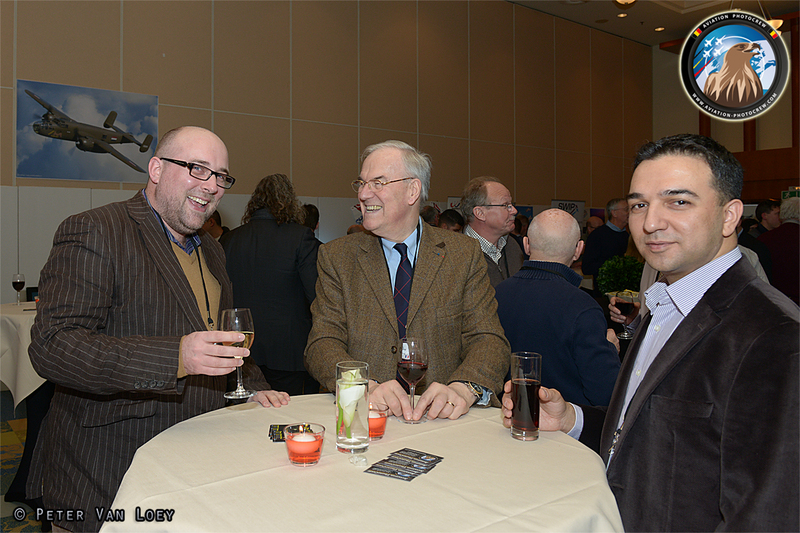 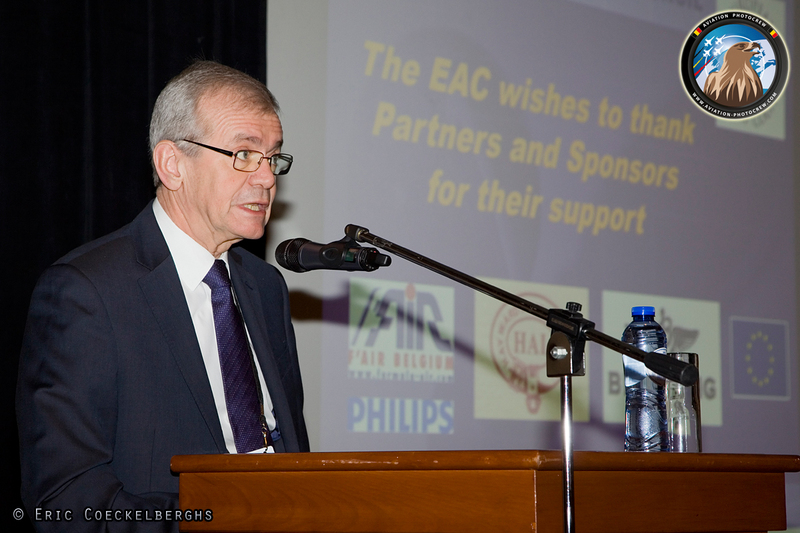 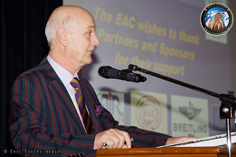 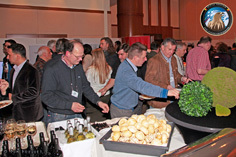 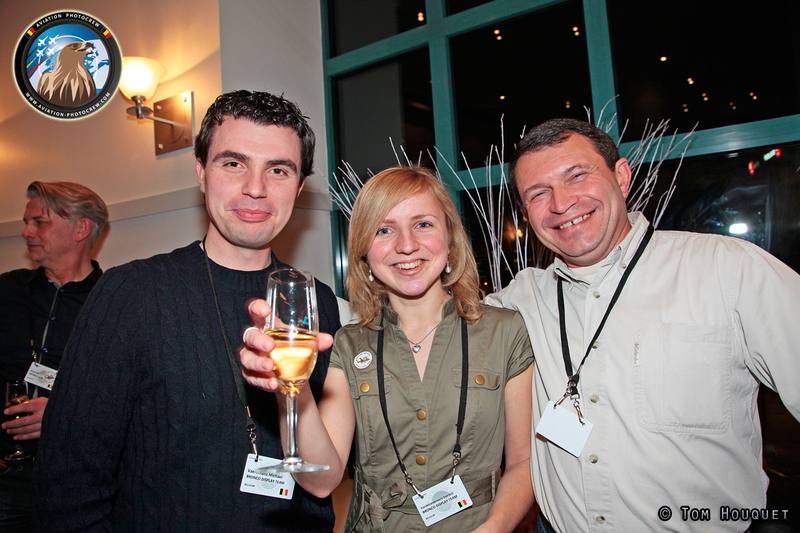 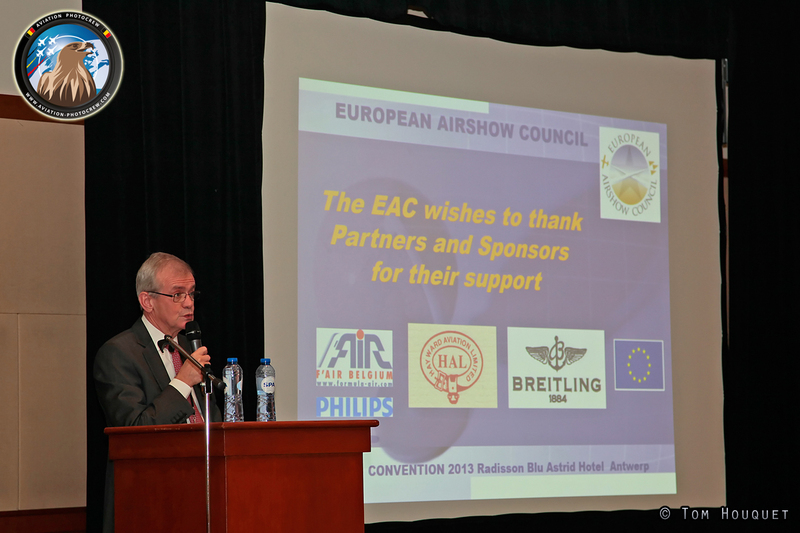 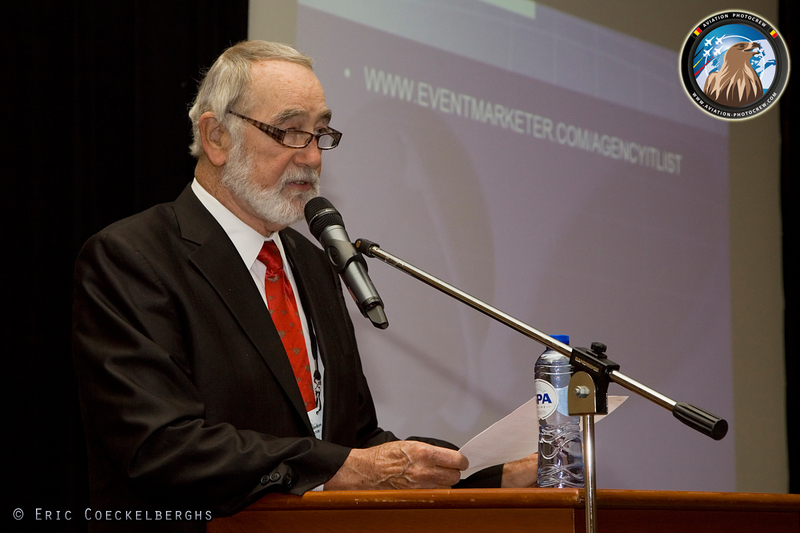 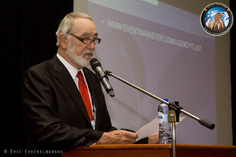 On Thursday evening the opening reception took place in the convention hall, and was officially opened by the EAC chairman Gilbert Buekenberghs. 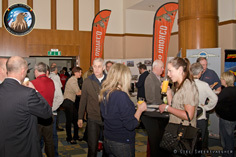 The promotional stands were nicely decorated and networking could be done with some drinks and a fantastic walking dinner offered by a selection of Belgian participants. 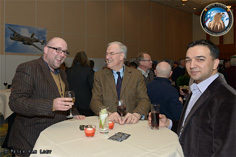 It was a great time to gather with old friends and meet new people. 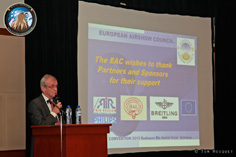 On Friday morning, the attended visitors were welcomed by Bob Dixon and an introduction was given by EAC chairman Gilbert Buekenberghs. 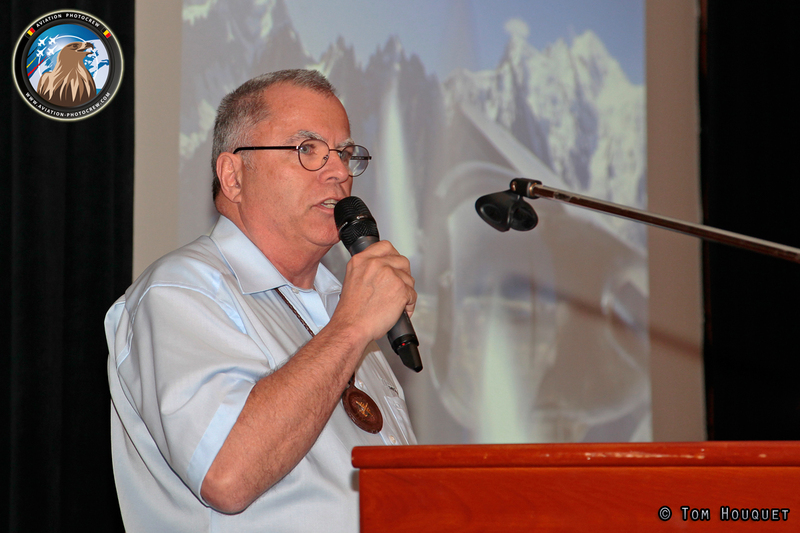 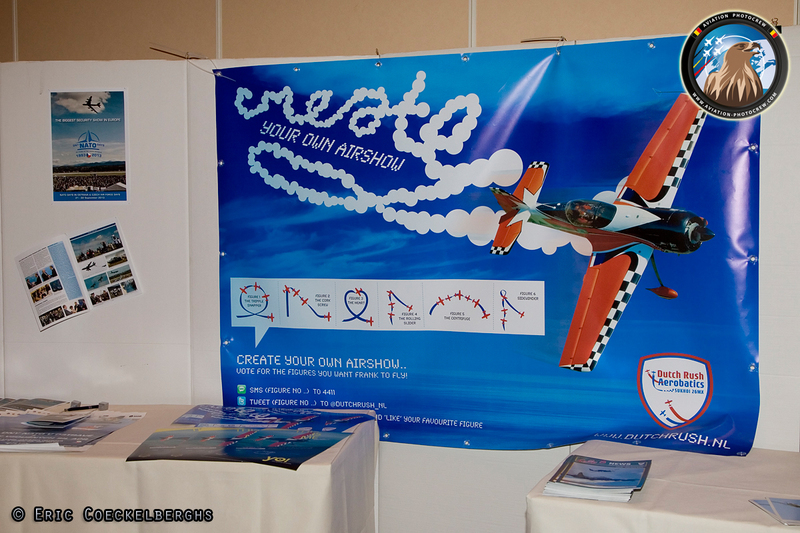 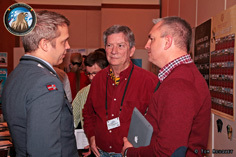 The theme of this year was highlighted and Gilbert briefly touched upon the challenges ahead for Airshow organizers and performers. 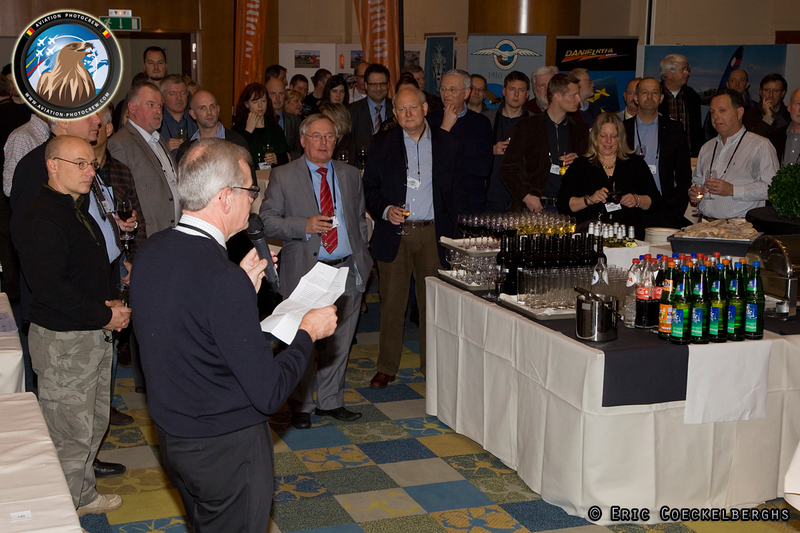 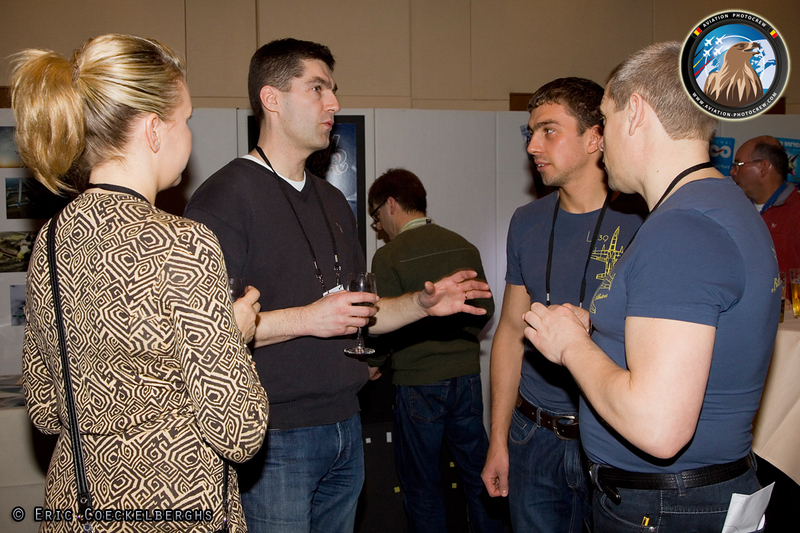 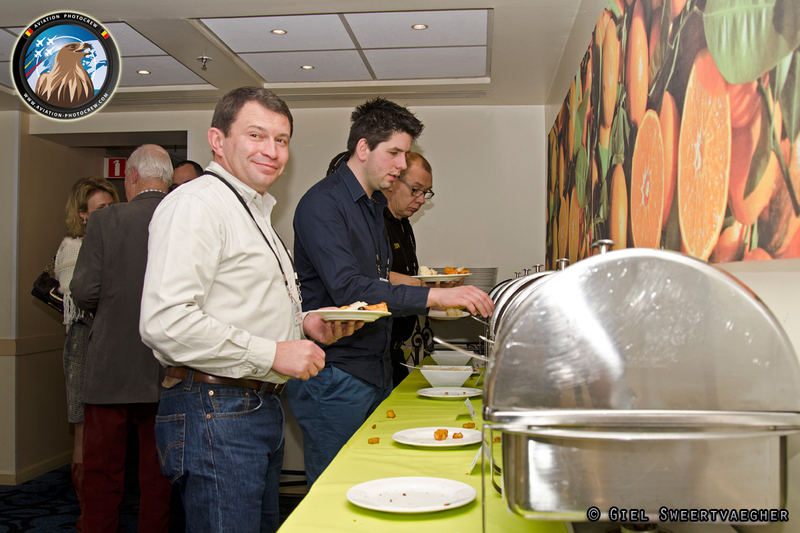 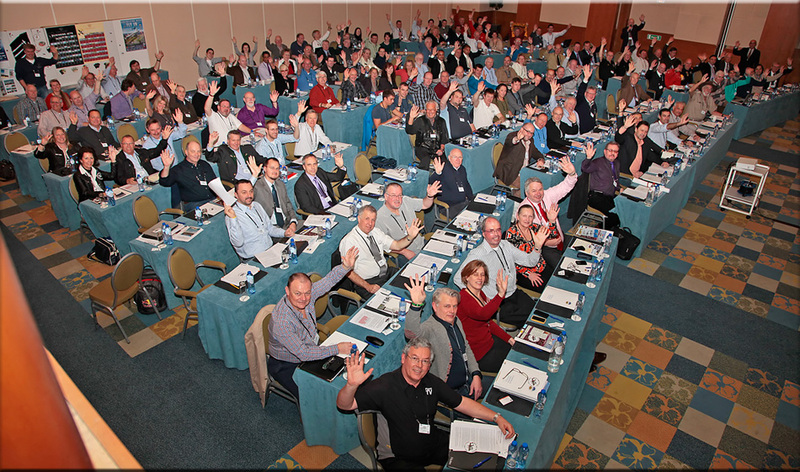 After the opening, all the attendance were given the chance to shortly introduce themselves. 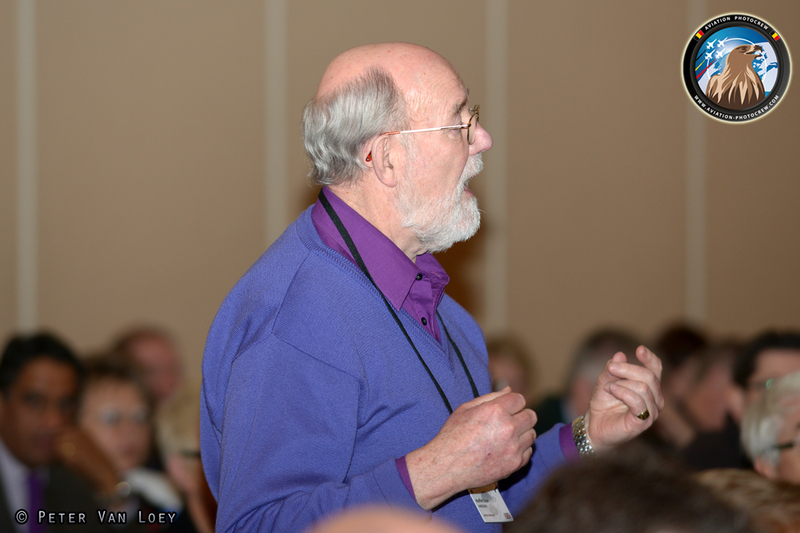 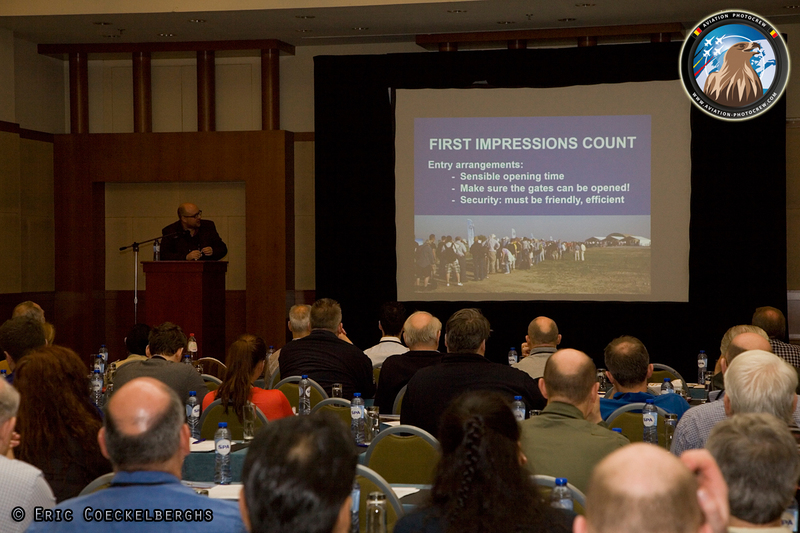 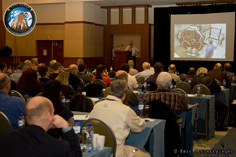 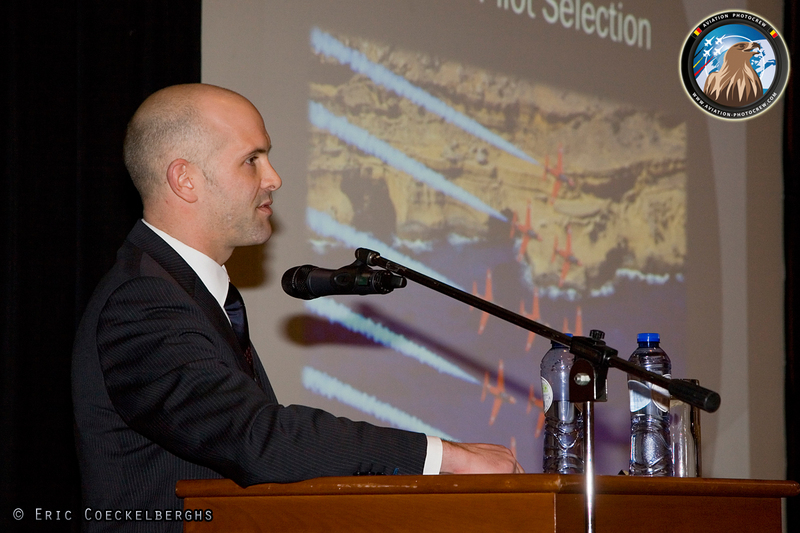 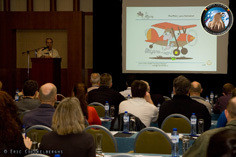 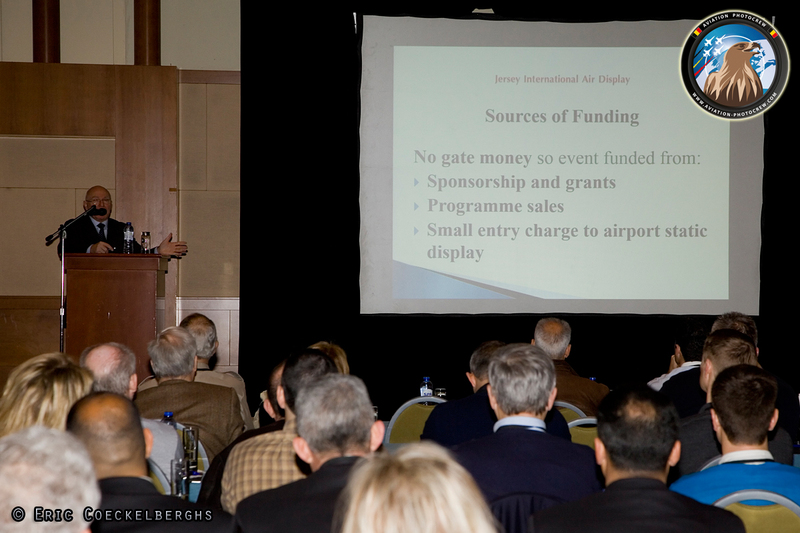 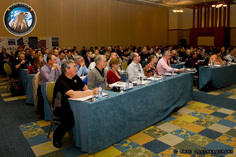 Mike Higgins of the Jersey Airshow was the first speaker on stage, and he elaborated upon various challenges he faces organizing the yearly International Air Display at the Channel Island. Squadron leader Mike Ling gave some insight into the way the RAF Red Arrows managed to overcome the incidents they were faced with over the past years and how the team will look like in the near future. 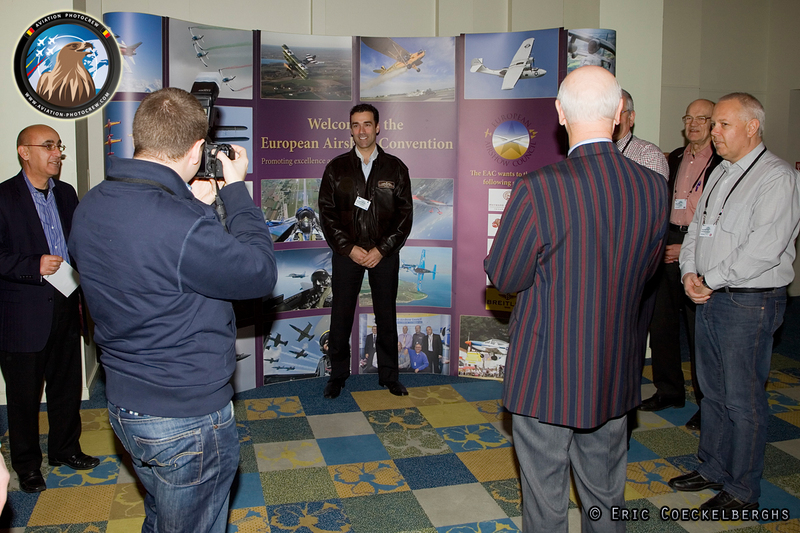 After a coffee break, Sean Maffet gave the attendance a short insight into one of the major European aviation projects, Vulcan to the Sky, and their status for the upcoming Airshow season. 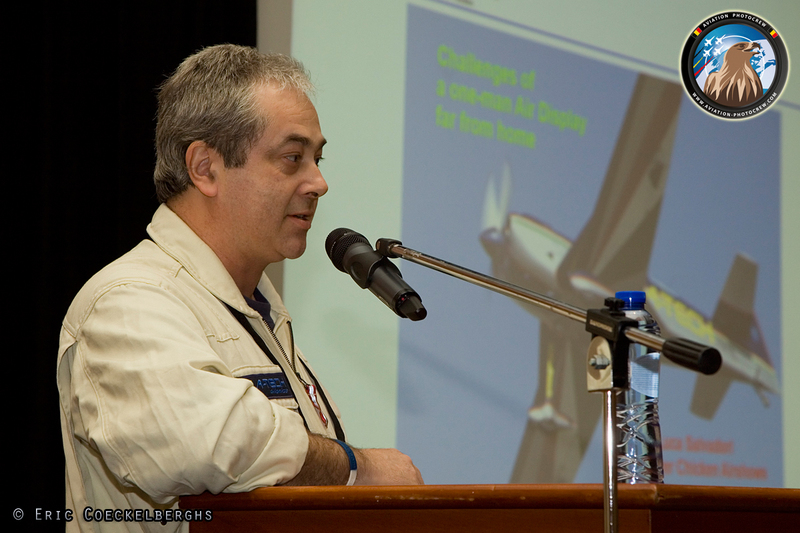 Vito Wyprächtiger took some time to explain his experiences and the lessons learned from recent Reno Air Race, which also went through a major challenge after the P-51 incident two years ago. 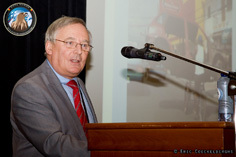 Nick Cook provided a look behind the scenes of the RIAT and talked about the role of emergency services at Airshows. 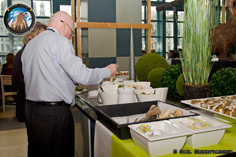 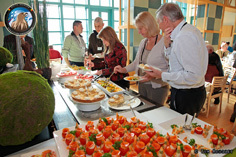 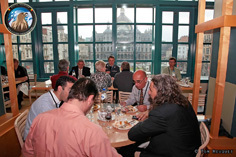 A well deserved meal was provided at noon time, which tasted even better with a breath taking view over the Astrid Square and the historical Antwerp train station. 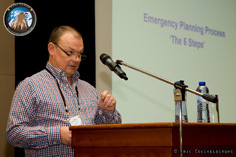 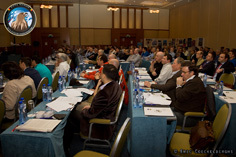 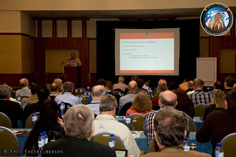 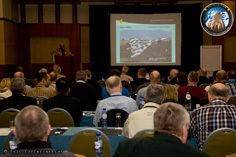 After lunch it was time for some more insights in risk assessment, when Chriss Murray talked about the RIAT perspective. The Dutch approach to risk assessment was explained by Ed de Bruijn, who has a lot of experience organizing Airshow events in the Netherlands. 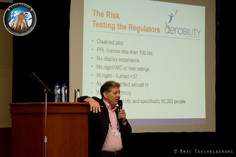 In the afternoon a very lively and interesting panel session on risk assessment took place, moderated by Jörg Thurnheer. 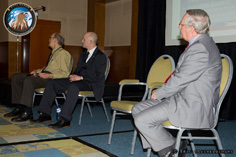 To conclude the sessions, Mike Miller-Smith, Guy Westgate and George Bacon talked about the many challenges they had getting permission to fly over London for the opening of the Paralympic games. Their inspiring story told us that with great cooperation between many people and services, unique project like theirs can be made successfully. 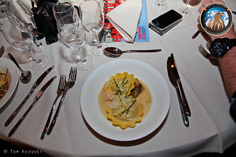 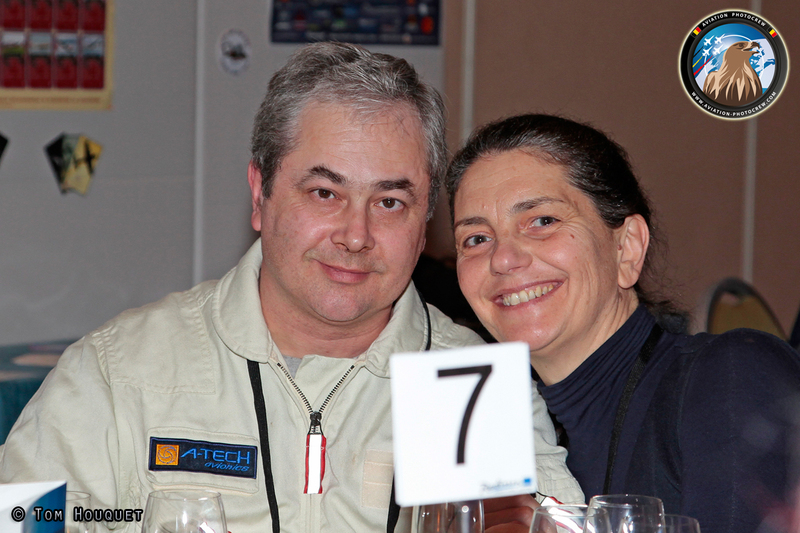 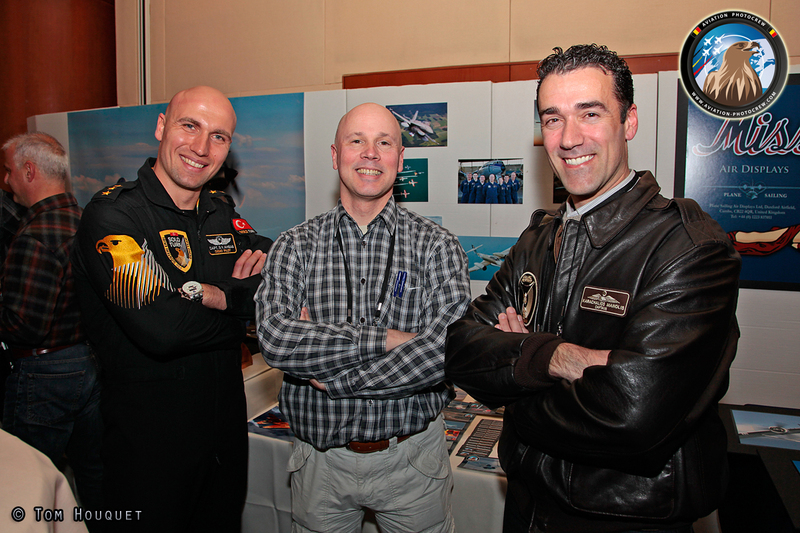 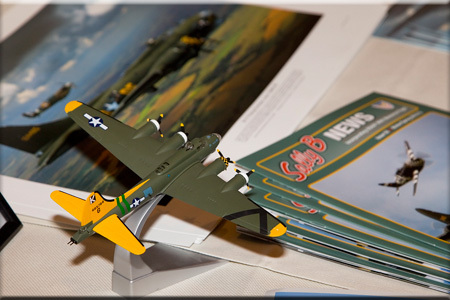 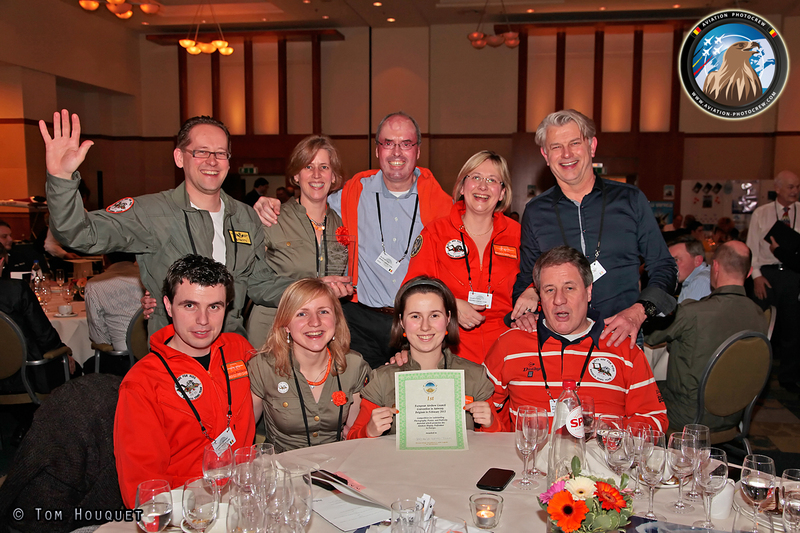 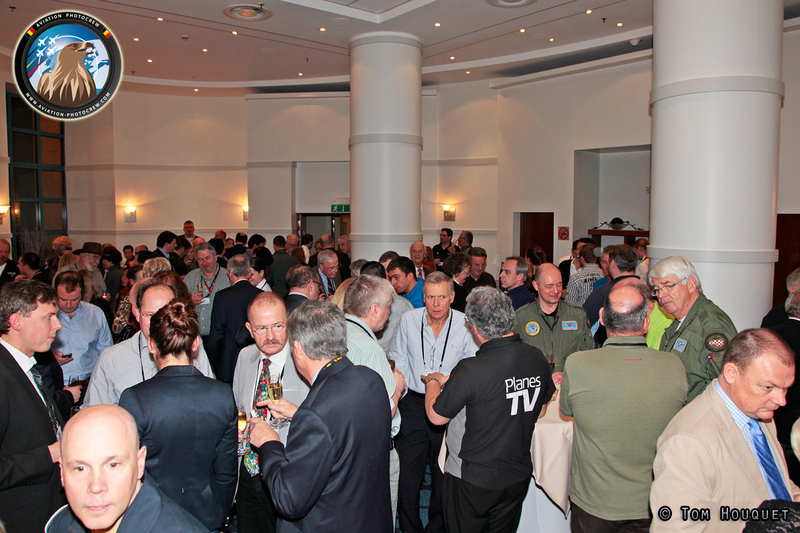 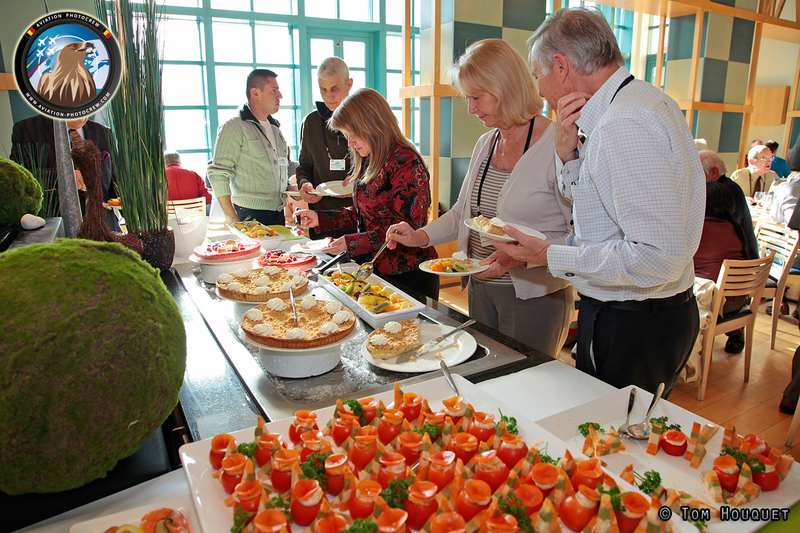 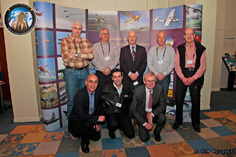 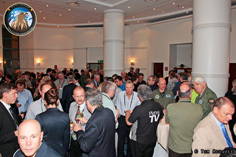 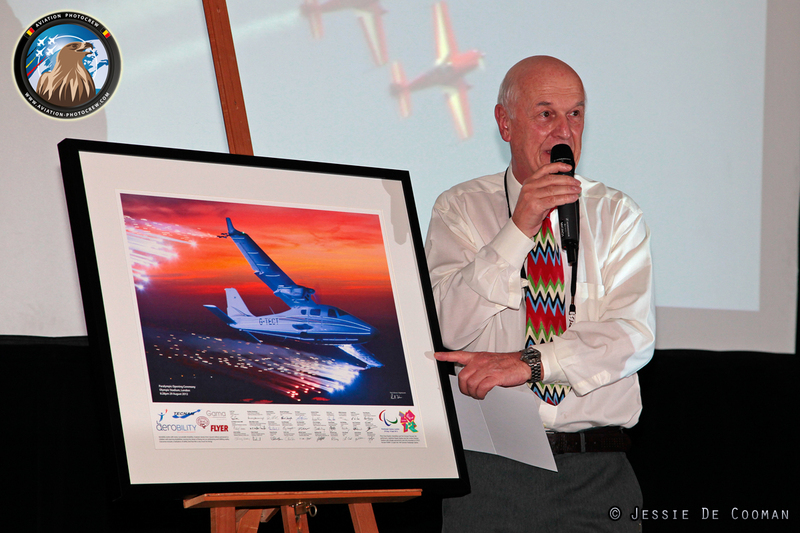 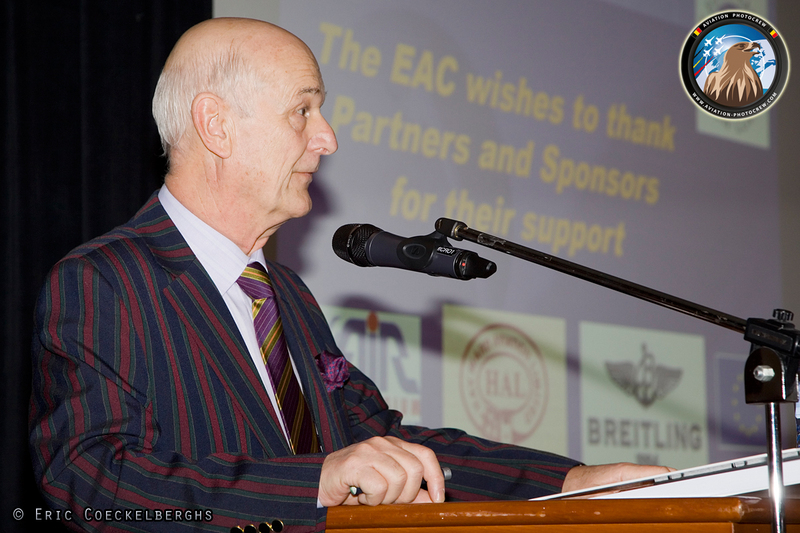 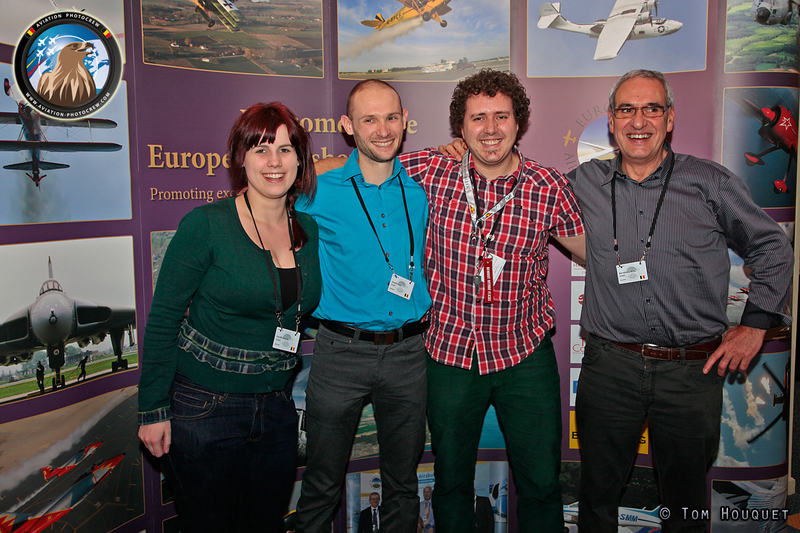 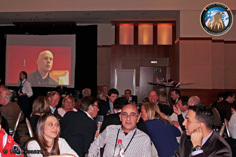 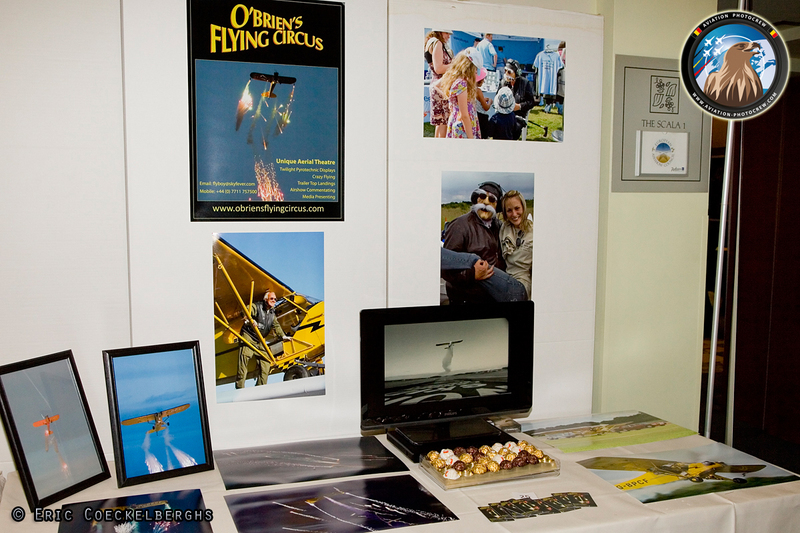 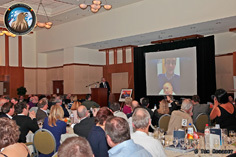 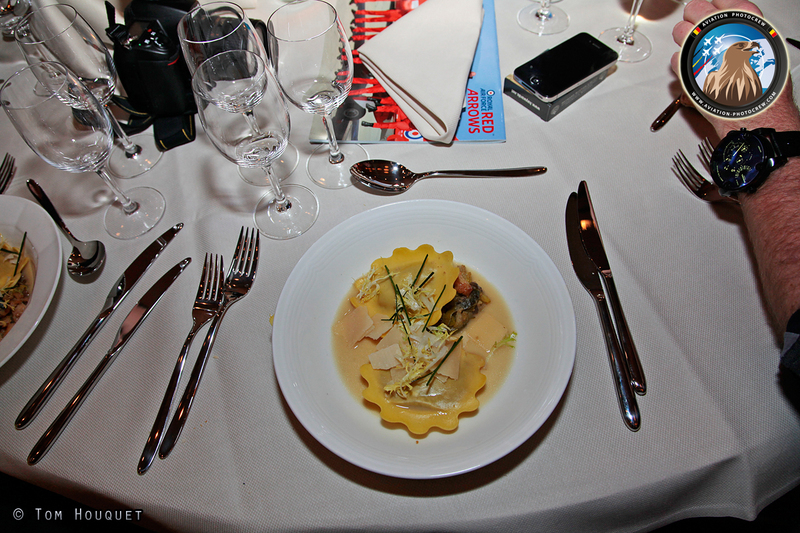 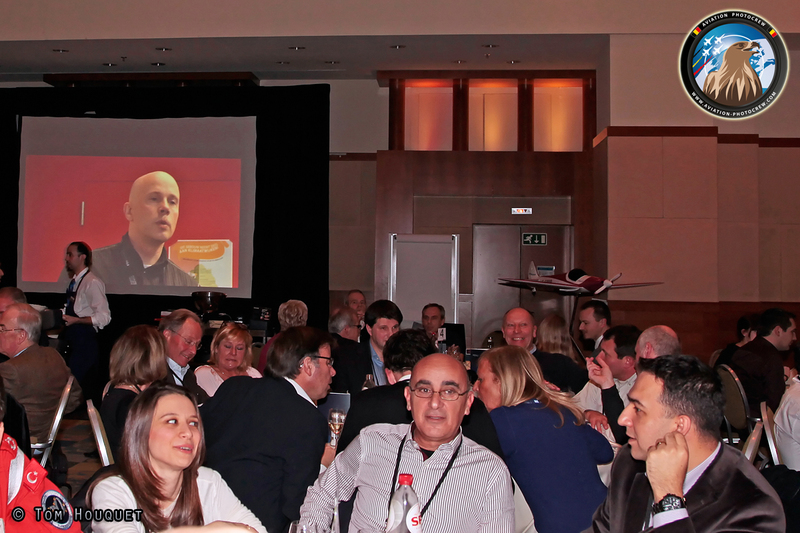 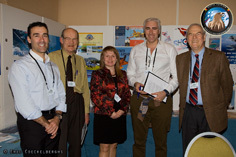 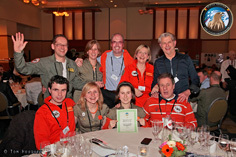 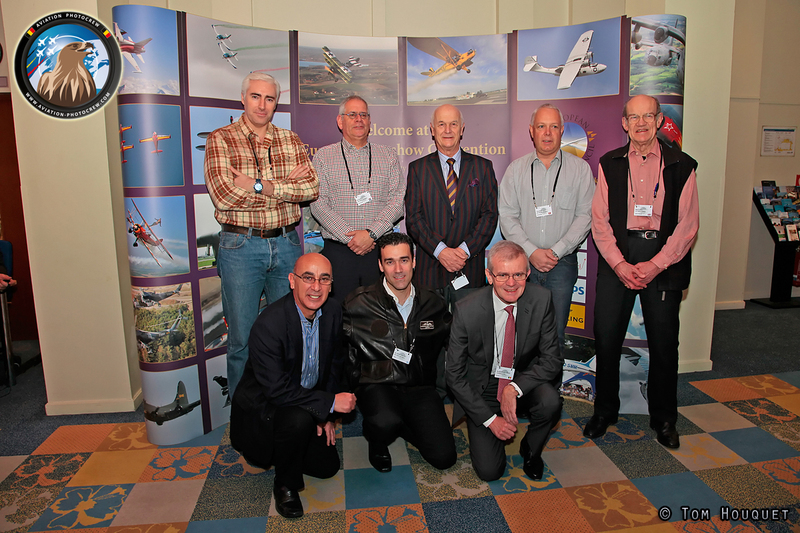 On Friday evening it was time for the traditional Airshow Dinner, which also is the scene for the annual EAC awards. 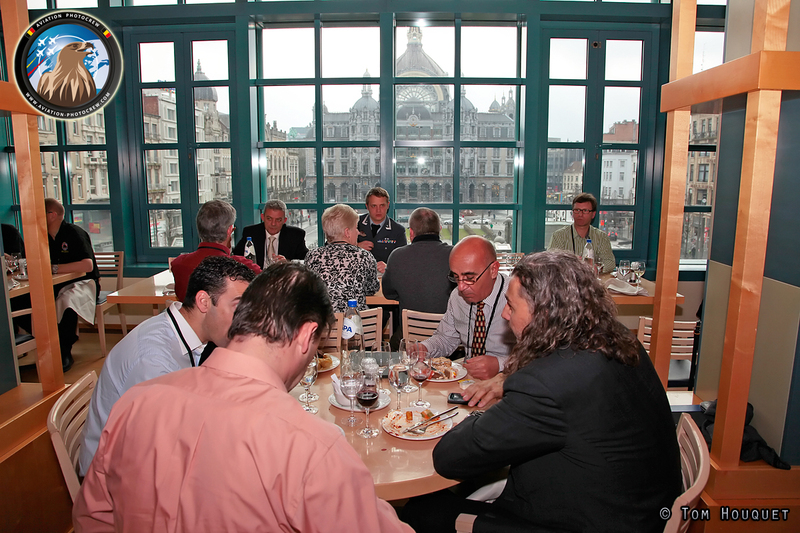 After having a tasteful dinner, the panel of experts decided to award the Huey Helicopter and SWIP team with the 3rd and 2nd price and the Bronco Demo Team with the first price in the marketing competition for participants. 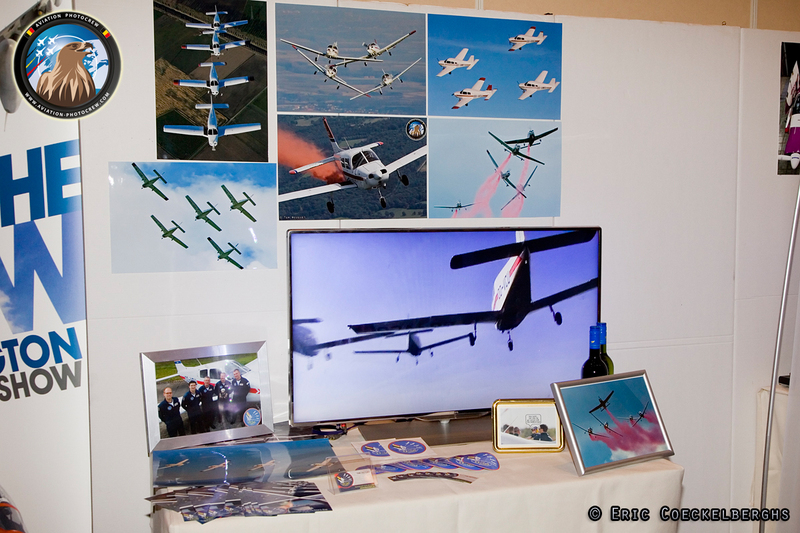 Among organizers the Ostrava NATO Days and the Hahnweide Oldtimer show got the 3rd and 2nd price, whereas the grand prize went to the Bournemouth Air Festival. 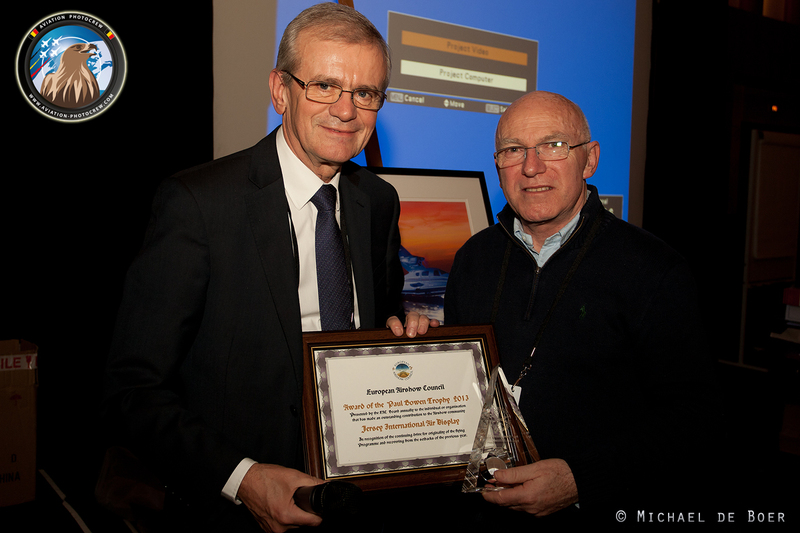 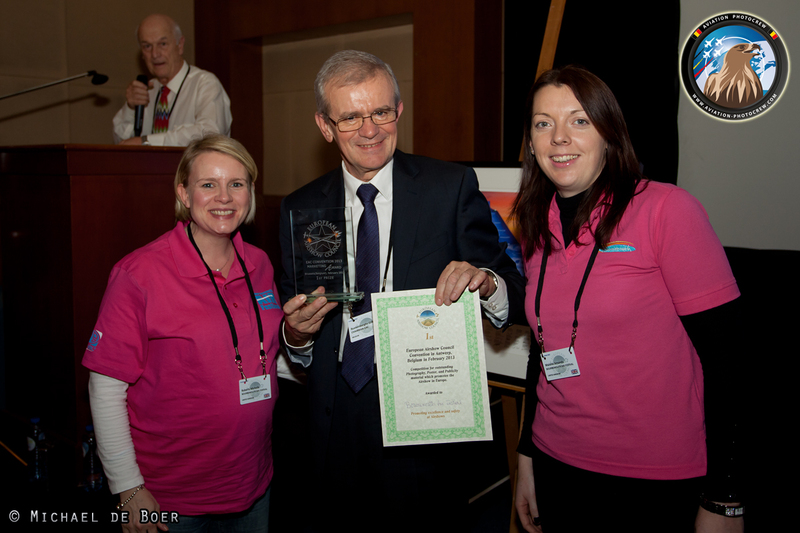 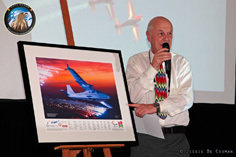 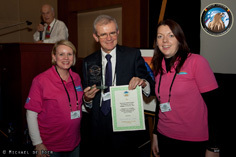 Mike Higgins accepted the Paul Bowen Trophy on behalf of the Jersey International Air Display. 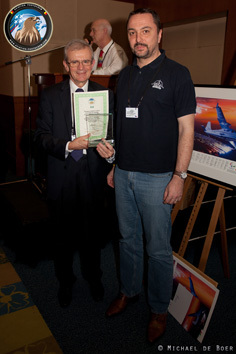 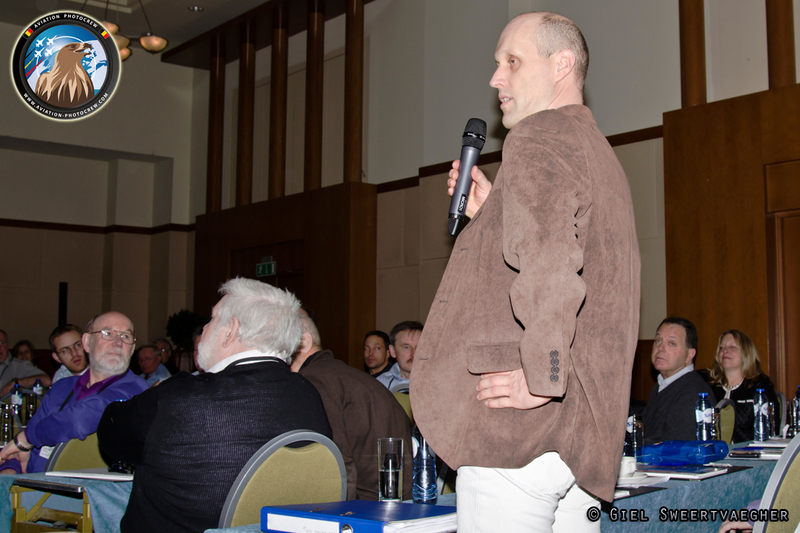 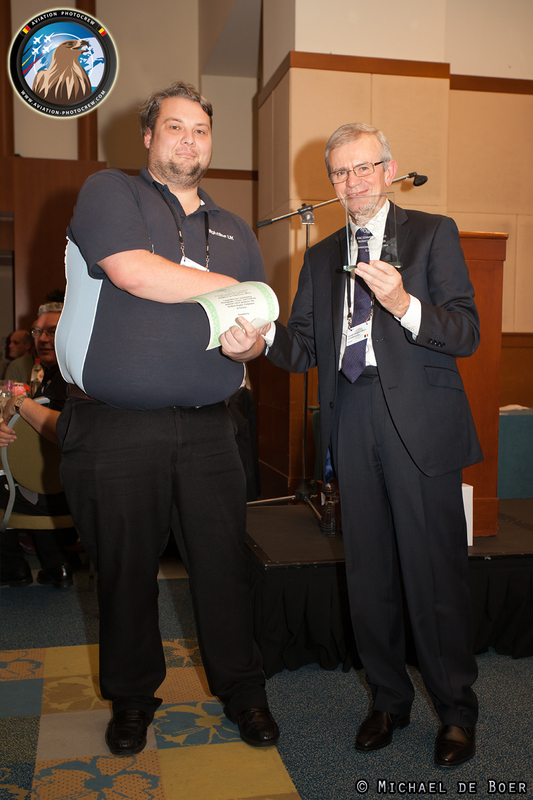 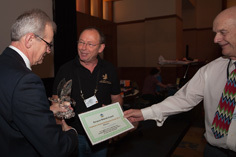 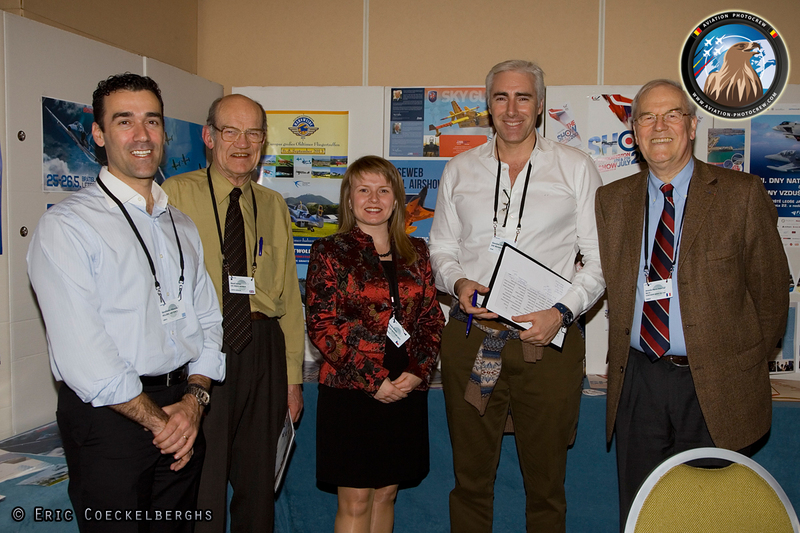 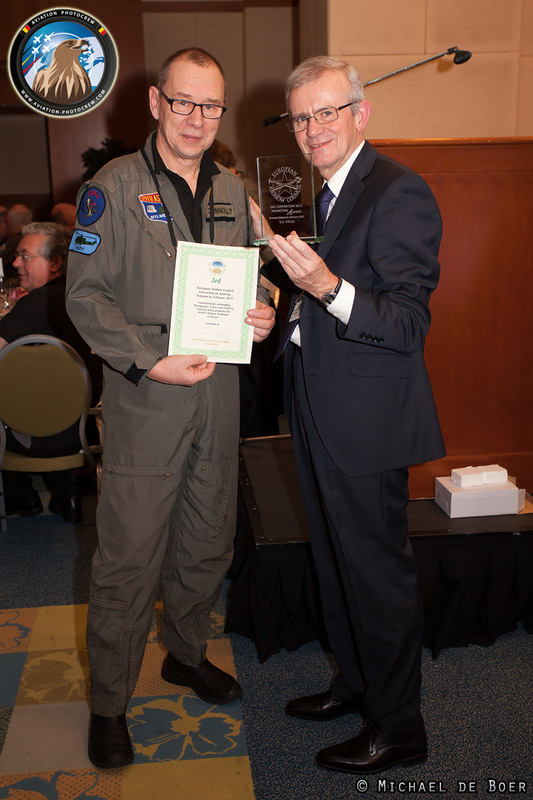 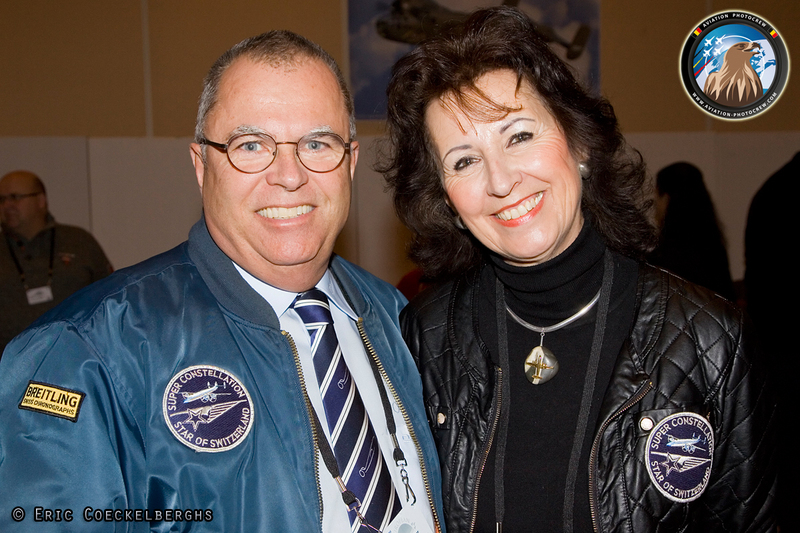 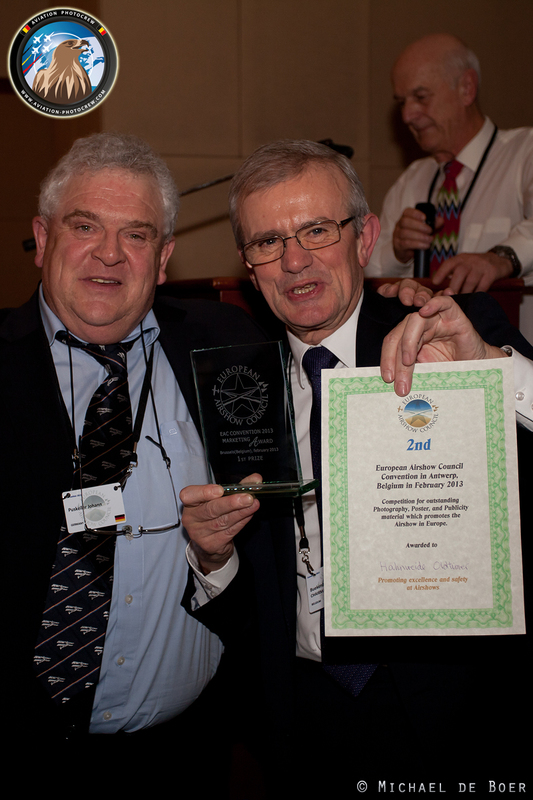 The Chairman’s Trophy was handed out to Uwe Ramerth from Germany for his continuous support to the Airshow scene. 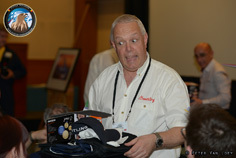 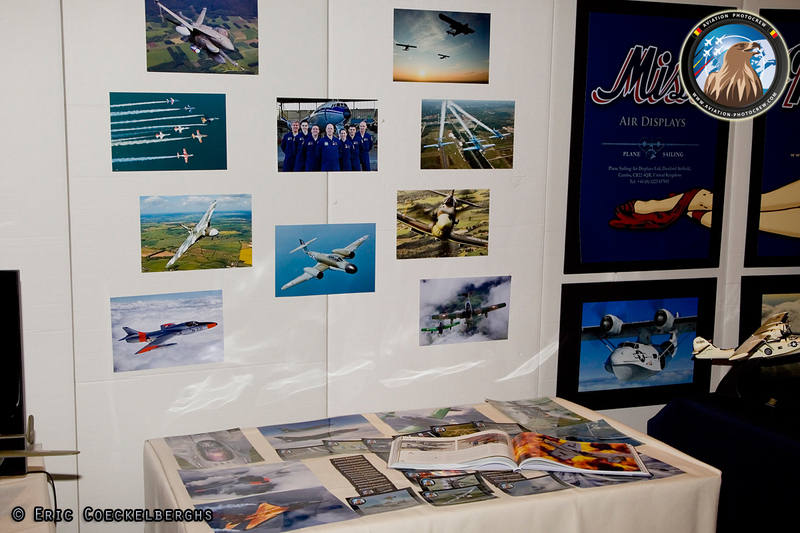 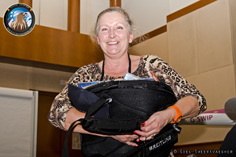 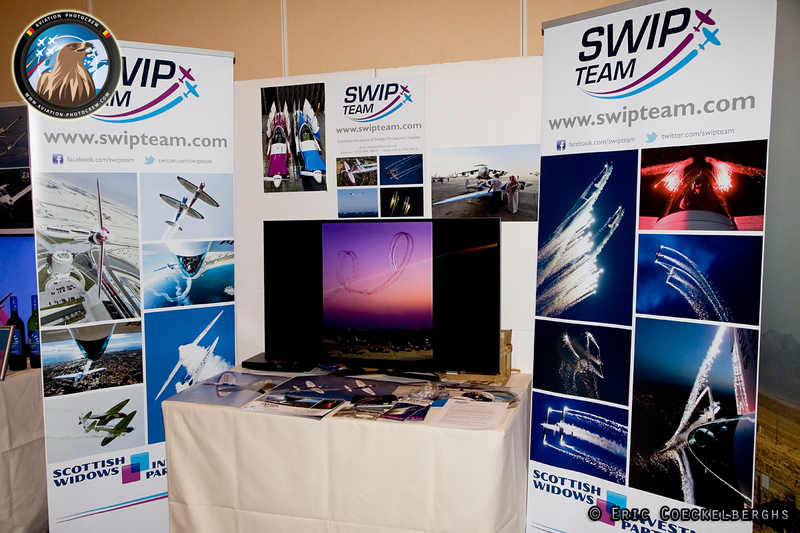 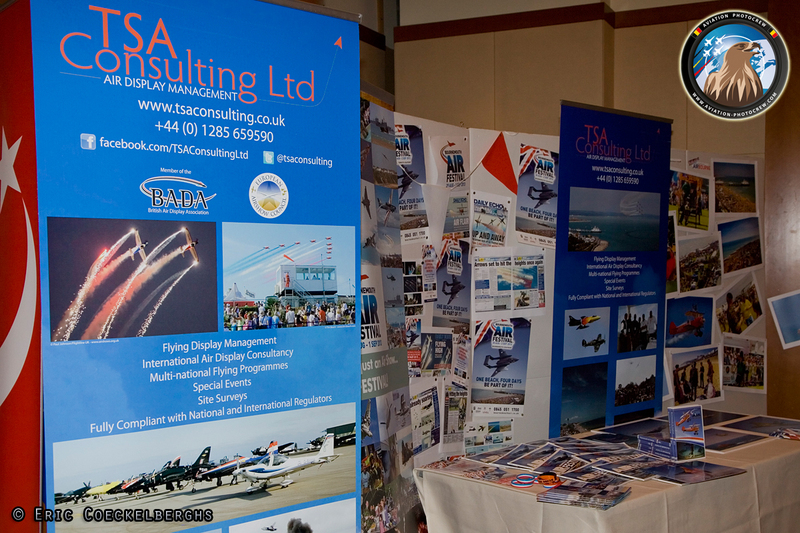 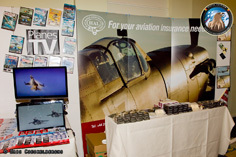 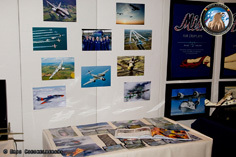 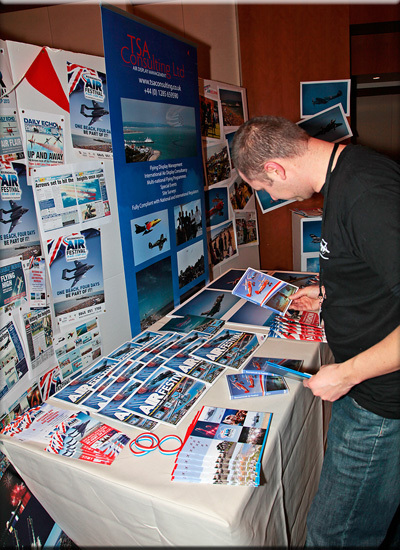 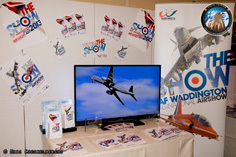 After the awards, it was time for the annual raffle which included again a great variety of Airshow related prices to be won. 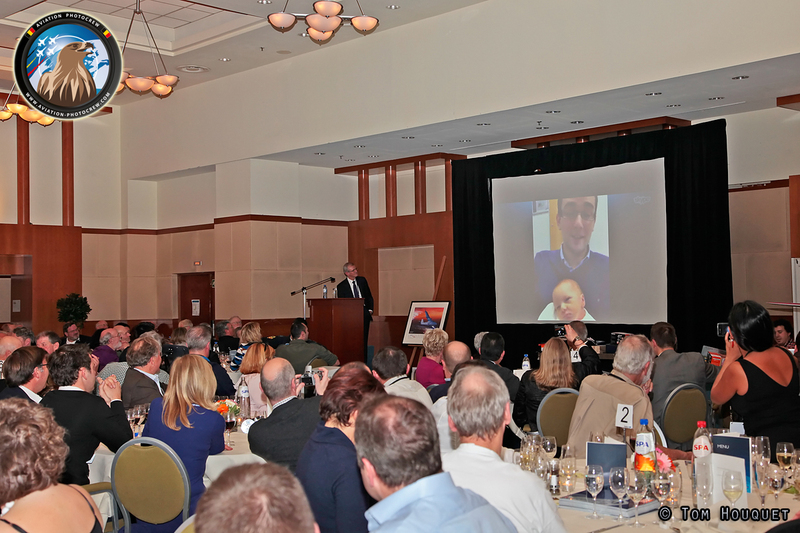 A nice surprise during the evening was a skype session with Geoffrey Buekenberghs of the Sanicole airshow, who just became a proud father of two sons, congratulations! 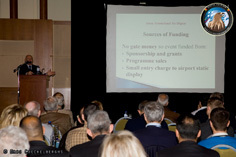 The Saturday morning sessions were opened with a presentation by Gordon Bowman-Jones who talked about how to maximize sponsorship opportunities. 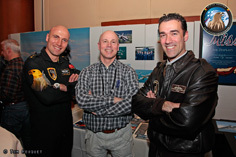 He was followed by Luca Salvadori who talked about the challenges of a one-man air display act. 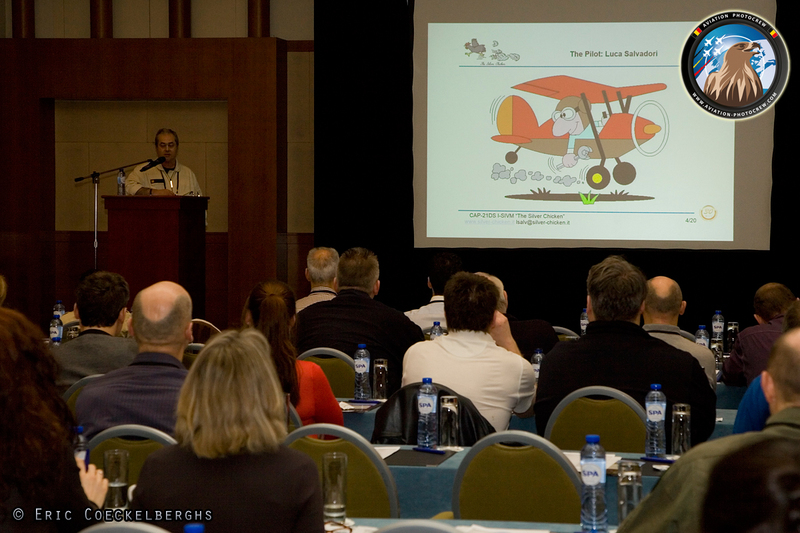 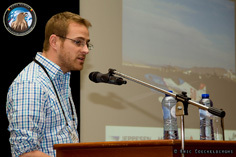 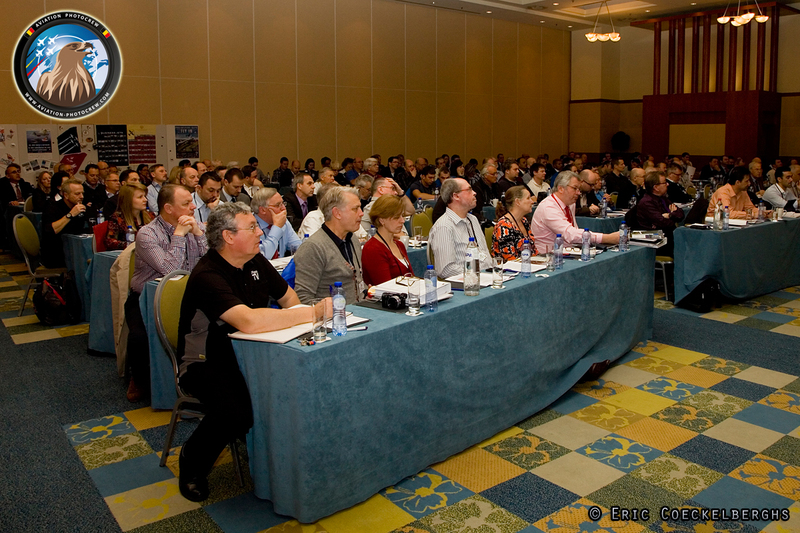 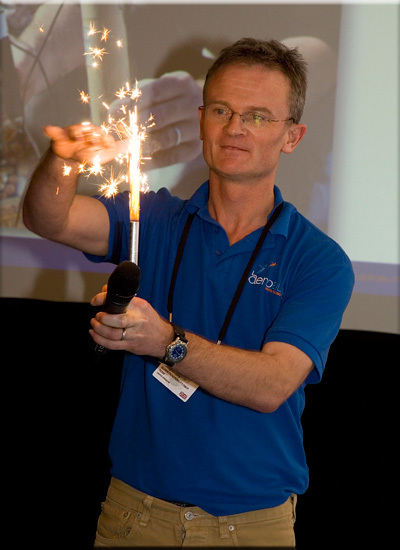 Ben Dunnel talked about his experiences in the Air Display world and brought in many interesting ideas to improve the Airshows around Europe. 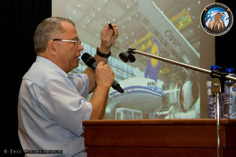 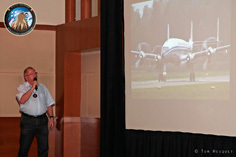 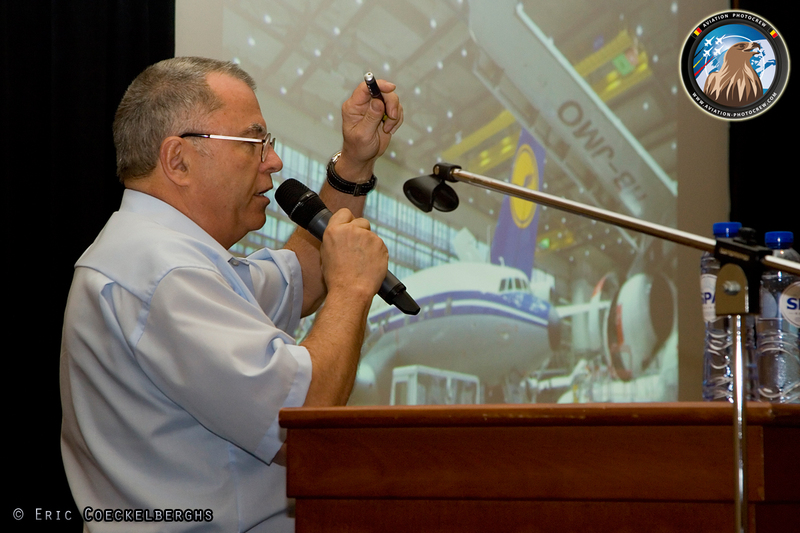 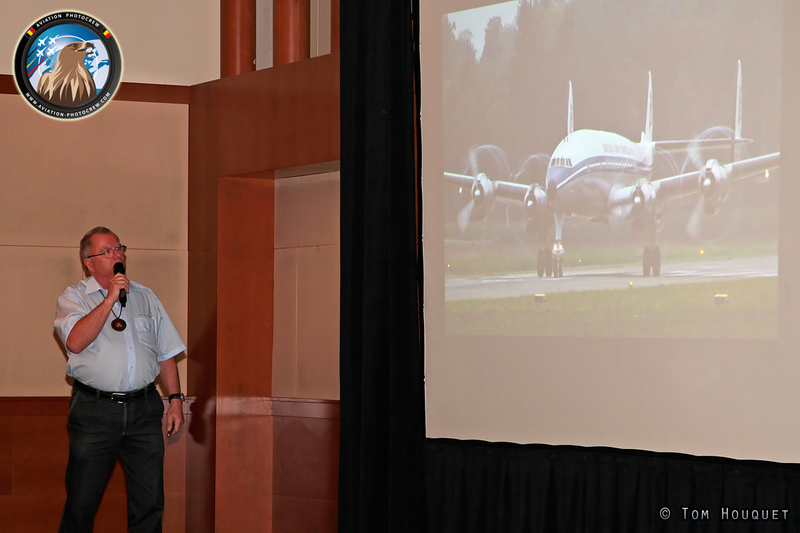 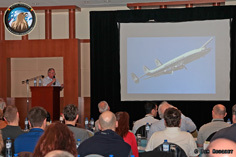 After a short coffee break, Ernst Frei, Pilot and flight operations director of the Breitling Super Constellation gave a presentation of their legendary multi-engined passenger aircraft. His experiences over so many years bring a deep knowledge of the complexities and pitfalls of operating a vintage 4-engined aircraft and making it ready to fly at Airshows around Europe. 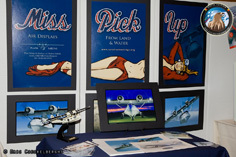 Have a safe airshow season and see you next year at the EAC!